Case report: The patient was a young lady, 26 years of old. She came for consultation on October 13, 1992. The patient had exposed to rain and got cold. She felt stiff in nose, running water-like nose, cold-disliking feeling, sour and pain all over the body, cough with more phlegm. She took Jingfang Baidu San plus Xing Su San for two doses. The symptoms subsided dramatically, but the cough remained. To speed up the healing, she changed to use western medicine, by use of moroxydine, ammonia chloride solution, midecamycin, and penicillin, for three days. For no any effect, she was given introvein infusion for additional seven days, with very little improvement. So, she had to turn back to use Chinese herbal therapy. She changed totally four herbal therapists, and took about 20 doses of herbs, which were mostly to stop cough, and to dissolve phlegm, as well as took some herbal products such as Wutang Zhike Congji, Shedan Chuanbei Ye, Tang Ke Jing, and fresh Zhuli, etc. The cough remained no stop. The current condition: she felt itch in throat. She had continuous cough, especially in the morning and at night. The phlegm is little but hard to spit out. She felt slight short of breath. From time to time, she could have a continuous cough. Her tongue is light pink and the tongue cover was white with slight thick at the lower middle part. The pulse was thin with kind of slippery feeling. The lab test for blood and the chest X-ray did not find anything wrong. The teacher: For the disease in the respiratory system, the cough is very common. In many cases, the cough is hard to cure. It is generally said that, “famous doctor does not treat the cough”. It is because it may hurt his/her reputation by failure in the treatment of cough. Though it is somehow overstated, but it is really true that the cough is not easy to treat. Some patient would think that if the doctor fails to solve a minor symptom as cough, how can the doctor be expected to solve a “severe” disease? However, I have had such experience. Even up to today, I cannot promise to be able to solve all the cases with cough. I know how difficult it is to treat a cough! Student A: If the cough was not solved and it has been delayed for some time, it would be difficult sometimes to make a clear diagnosis. For example in this case, she got external common cold and cough. The western medicine did not work for her and the cough has been there for three months. It is pretty easy to be diagnosed as weakness condition or the mixture of a weakness and an overwhelming condition. The teacher: from the history of this case, her condition was first diagnosed as Wind-Cold common cold with cough. After two doses of Jingfeng Baidu San plus Xing Su San, the overall symptoms subsided dramatically, with only cough left. At that time, the condition should be quickly improved if the spicy-warming therapy is stop to use, but the herbal therapy is changed to expanding-descending therapy, with help of phlegm-dissolving and cough-stopping therapy. However, the patient was eager to stop the cough, and she had had various western medicine drugs, as well as using some herbal products, all of which did not work to dispel the Xie Qi out of the body, so as to keep the Xie Qi in the lung for a longer time and made the disease lasted for a longer time. From the current condition point of view, she had cough when she felt itch in throat. She felt tight in breath and had continuous and urgent cough. The phlegm is not much but it is difficult to spit. The tongue cover is white in color and the pulse is thin with slippery feeling. All the phenomenon indicates the presence of Wind Xie Qi in the lung, and the lung fails to disperse and to expand. For the treatment, it should be remembered that “ There is no cough-stopping therapy to stop the cough” and “the cough would stop with herbal therapy that is not aimed to stop the cough”. No matter how long the cough lasted, the therapy should all focused on dispersing and descending. If the doctor always believes that “for a long time cough, there would mostly be a weakness condition in the person” and “a long time cough would tend to hurt the inside of the body”, it would be easy to make a wrong diagnosis and launch a wrong treatment. For this case, though the cough has lasted for three months, it still belongs to the Wind-stick in the lung and the Lung fails to disperse. The herbal therapy given to her is to disperse the Wind-Cold, to disperse the Lung Qi. The formula used is Jinfeicao with some modification: Xuanfuhua 10 g (fold in gauze when cook in water), Baishao 12 g, Gancao 5 g, Jingjie 15 g, Suye 10 g, Qianhu 10 g, Fa Banxia 10 g, Xingren 10 g, Baijiezi 10 g, Jiegen 10g. Two doses. The second visit: the itch in throat subsided. The cough was much reduced, and the phlegm was easier to spit out. The above herbal formula was combined with Zhi Su San: Xuanfuhua 10 g (fold), Baishao 12 g, Gancao 5 g, Jinegjie 10 g, Jiegen 10 g, Zhi Ziyuan 15 g, Zhi Baipu 10 g, Qianhu 10 g, Xingren 10 g, Xianhecao 30 g. Three doses. The third visit: after the herbal therapy above for three days, the cough stopped during day time. The cough only happened little bit at night. She was then changed to Folk Therapy by using “Zhi Ke Shiyi Wei” to solve the remaining symptoms: Danggui, Chuanxiong, Fa Banxia, Fuling, Chenpi, Gancao, Sangbaipi, Qingpi, Xingren, Wuweizi (chopped), Chuan Beimu (grind, and swallow directly). Two doses. The cough stopped without finish of the herbs. Student B: So far as I know, the recommended herbal formula in the second edition of the textbook of Chinese medicine is Jinfeicao San, and on the fifth edition of it is Xingsu San, San Ao Tang, Zhi Su San, etc. It makes people confused to choose. How do you only use the Jingfeicao San? The teacher: For one clinic condition, there would have many herbal formula to choose. This causes confusion for doctors who have had no lots of clinic experience. Which herbal formula would be the most effective one? Though it is said that every road to Roma, not every road is a direct road or the shortest road. In my clinic experience, when used in a proper manner, the herbal formula above all can be used for the treatment of Wind-Cold cough. But the healing effect is variable of course. Among them, the Jingfeicao San is the most effective one. As other of these herbal formula, the Jingfeicao San works to dispel Wind, and warm the Cold, to disperse the Lung Qi. The difference between the Jingfeicao San from other herbal formula is the key function of its three ingredients, the Jingfeicao (nowadays it commonly uses Xuanfuhua), Baishao and Gancao. From history, whenever doctors explain the function of the herb Xuanfuhua, most of them believed that it functions to dissolve phlegm and down-directing the Qi. Such narrowed concept comes from the statement that “All the flowers, in herbal therapy, cause rising effect, while the Xuanfuhua alone causes descending effect”. No doubt that the Xuanfuhua has strong effect to down-directing the Lung Qi, to dissolve the phlegm and to clear the condensed water. (After intake, patient usually feels down-movement of Qi from chest). However, it has some other functions. For its spicy state, the spicy functions to disperse, to move in horizontal, so as to disperse the Lung Qi to the skin layer. That both the down-directing and the dispersing function work together enables the recovery of the Lung. It has also salty taste. The salty taste goes into the kidney, so as to help to direct the Qi down to come into its root, so as to make the phlegm or extra water that are accumulated in the stomach down move and dispel from the urine or stool, not reverse into the Lung to affect the Lung function, so to restore the Lung function. Clearly, the three functions of one herb Xuanfuhua helps the Lung, the Stomach and the Kidney, the three organs/systems and makes the upper Jiao, the middle Jiao, and the Lower Jiao, all clearly conducted smoothly. In the formula, the herb Baishao and the Gancao works as the Shaoyao Gancao Tang, it works to develop Yin for its sour-sweet taste, to nourish the Lung liquid part and to release the Lung Qi. The modern scientific research find that the couple works to relax the spasm of the smooth muscles. Therefore, in the use of this herbal formula, any herbal ingredients might be omitted, but not the Xuanfuhua, the Baishao and the Gancao. Student C: How do you realize this mysterious, sir? The teacher: All are taught by old TCM doctor, Mr. Er-Xiong Jiang. Doctor Jiang was very weak in body condition when he was young. He often had cough. It usually worked when he used herbal formula Zhi Su San, Xing Su San, or Liu An Jian, etc. However in one time, he tried all the herbal formula that worked before but not work at all this time. He coughed and coughed, with itch feeling in throat. The condition lasted for months then. He checked various medical books. He saw in the book <<Yixue Cong Zhong Lu>> by Dr. Xiu-Yuan Chen that “To treat the cough, use Liu An Jian in mild case and use Jinfeicao San in severe case”. He so tried one dose. The cough stopped and the itch feeling in throat disappeared. He felt very surprising, and he so used it for other patients. It worked very well. For tens of years, whenever he treated the cough, no matter the cough come newly or lasted for a long time, and no matter it belongs the body surface condition or inside, to the Cold or Hotness condition, to the weakness or a overwhelming condition, he used the Jinfeicao San with some modifications. Some patient may have cough for 2 to 3 months, and may have been using various western medical therapy or Chinese herbal therapy but in vain. The cough could subside after use of this herbal formula only several doses. Thereafter, the herbal formula was cited by people to use by themselves. There are again and again successful stories by use of this formula. In old books on Chinese herbal therapy, there were two versions for the Jinfeicao San. One is seen in the book <<Nanyang Huo Ren Shu>>, which consist of herb Jinfeicao, Qianhu, Jingjie, Xixing, Fuling, fresh ginger, Chinese date, and Gancao; another version is seen in the book <<He Ji Ju Fang>>, in which there is no Fuling and Xixing, but is Mahuang ang Baishao. In addition, in the book <<San Yin Ji Yi Bing Zhen Fang Lun>>, there is another formula called Xuanfuhua Tang, in which there are herbs as Xingren, Fuling and Wuweizi on the based of the Jinfeicao San in the book <<He Ji Ju Fang>>. The Jinfeicao San used by Dr. Jiang is not either of these formula, but the combination of the three formula. He also use the modified Jinfeicao San, as well as the Liu An Jian (which is the Er Chen Tang plus Xingren and Baijiezi) and Jiegen Tang (Jiegen and Gancao). It is very important to be able to understand the truth of the nature along the time past. Dr. Jiang has been using this formula for many years and developed important guidelines (e.g. how to modify the formula) for the use of this formula in various clinic conditions. In some guideline, the modified formula could contain more old formula in the one, which makes the spectrum of the healing by the new modified formula much broad. In fact, there are much more ways to modify the Jinfeicao San by Dr. Jiang. Some of the modified formula is to correct the symptoms due to a wrong way of treatment, and some others are to correct the body constitution. All the modifications are developed from clinic experience and are used effectively back in the clinic practice. It is however more important to cure the Wind-Cold cough, than to develop a single herbal formula with aim to use it for any case with cough, by such way “to simplify the complex into the simple”. Dr. Jiang has ever written an article to criticize some wrong ways in the treatment of cough in clinic. For example, some patients have fever (or body temperature rises). The doctor would diagnose the condition as the “Wind Fire”, or “Phlegm Fire” right away, so to use the Sangju- or Yinqai-containing herbal formula, or to use herbs that are supposed to clear the Fire and to dissolve the phlegm, or to use antibiotics. Some patients might have itch in throat or have very little phlegm. The condition is diagnosed as “Wind Dryness” or “Yin exhaustion” condition, so to use Wet-nourishing or Yin-nourishing formula. Some patients has the cough for a long time. 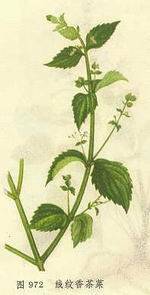 It would be believed to be a weakness cough, so the nourishing herbs are used. All of these wrong ways fail to disperse the Lung Qi or to expand the Lung Qi, so as to cause the cough lasts for long time, or even into a exhausting cough condition. It can be said that, the effectiveness of the Jinfeicao San is about more than 80%, when it is used, with modifications, for the treatment of cough due to external common cold. If the formula does not work, there would be three reasons: fist, the herb extract is too bitter and astringent due to the taste of the Jinfeicao. Some patients may have nausea, so fear to finish the drink of the herb extract. Second, in some patients, the cough stopped but recurred some days later (though the cough is not severe). Third, some patients may have cough occasionally after the stop of the main cough course, e.g. a tail cough, such as in this case. There is saying that “the melon is sweet but its stem is bitter, e.g. nothing would be perfect”. How can we expect a perfect herbal formula in the world? My way to solve these remaining problems are: for the nausea after drink of the herbs, let the patient drink it little by little with more frequent. If there is still nausea after drink and fear to drink the herbal tea, change to the formula Shu Fei Tang by Dr. Shize Chen (Guizhi, Suye, Jiegen, Gancao, Fuling, Tianhuafen) plus formula Liu An Jian. If the cough comes back after several days, use herbal formula Chaihu Guizhi Tang plus Ziyuan, Chanyi and Muhudie. For the occasional cough, e.g. the tail cough, use herbal formula “Zhi Ke Shiyi Wei”. This formula is spreading in the folk. It is originally used to treat the cough in tuberculosis. Twenty years ago, I by chance used it for the treatment of cough due to common cold. The patient had no any other symptoms due to common cold, but the cough. One dose stopped the cough. Later, I tried this way in many other cases and most of them worked. So, I used it as the closing formula for the cough. The ingredients of the formula is very simple and not special, but the consistent is interesting and hard to explain why it works when such ordinary herbs are added together into one formula. It should be pointed out that, there are very little patients, who had cough due to common cold, and the cough was reduced by use of the Jinfeicao San, but the cough could not be completely stopped after the use of the “Zhi Ke Shiyi Wei”. Gradually, the cough is dry, no phlegm, and worse at night. The tongue is clear without tongue cover. At this time, I try my own formula “Wan Tan Fang”: Xuanshen 15 g, Maidong 15 g, Wuweizi 6 g, Gancao 6 g, Jiegen 10 g, Xianhecao 30 g, Zhi Ziyuan 30g,Taoren 10 g, Honghua 6 g, Lugen 30 g, Muli 30 g. If some patients have the cough reduced but not stopped, after take the herbal formula for two days, try to use the formula Qing Zao Jiu Fei Tang in turn.